The former Newcomerstown Police officer who claimed he was shot while on duty now faces charges for allegedly fabricating the story. Bryan Eubanks reportedly shot himself in an apparent suicide attempt while he was on duty April 11, but said he was shot during a traffic stop in which he also saw evidence of a mobile meth lab. The 37-year-old former officer is now charged with one count of inducing panic, one count of making false alarms, two counts of tampering with evidence, one count of forgery and one count of workers’ compensation fraud. The inducing panic and making false alarms charges each carry two firearm specifications. 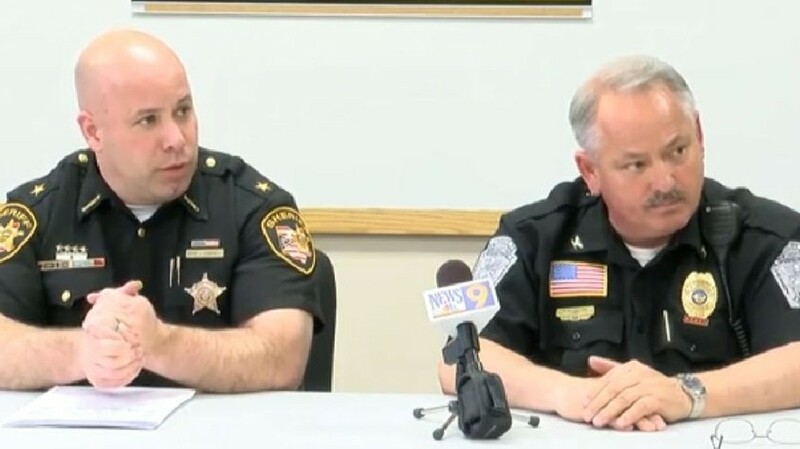 Officers from the Guernsey County Sheriff’s Office, Coshocton County Sheriff’s Office, the Tuscarawas County Sheriff’s Office, Newcomerstown, Uhrichsville, Ohio State Highway Patrol, the FBI, ATF and the U.S. Marshals Service had responded to help when the incident was first reported. He stirred the Ohio thin blue gang to think he was a victim so they would sympathize with him. God knows how many people’s rights were violated as a result? He will probably end up with a slap on the wrist.